Regardless of where you go in the world, you are likely to find ‘coming of age’ ceremonies for kids reaching their mid-teens. Confirmation in Roman Catholic churches, Bar or Bat Mitvahs in the Jewish faith and the Quinceañera found in Latin American cultures. Debutante balls. Getting your driver’s license. All of these ceremonies show the community that the child has now reached an age where he or she can start taking charge of his or her own life. 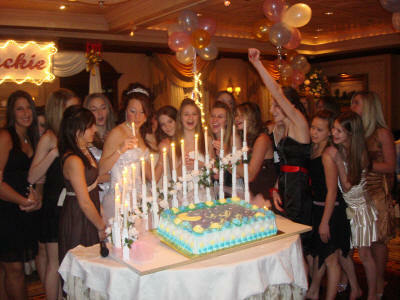 In most western cultures, we celebrate a Sweet 16th party for girls. This tradition goes back to the bad old days, when life expectancy was only a sobering 45 or 50 years. When a young lady reached that milestone, she was considered eligible to be courted for marriage in order to start a family while she was still young and healthy. To help get the young lady ready for marriage, the family would start to build her trousseau or dowry – the items she would bring with her into the union. Cooking pots and pans, serving dishes, linens and other daily items were typically included, as well as any small favors given to her while she was younger – perhaps a treasured blanket made by a grandmother or something else with meaning. In order to safeguard these items, many times a hope chest or dowry chest would be built. This way, the items could be collected and stored until the big day, when it would be loaded onto the horse and buggy for the trip to the couple’s new home. Starting in the 1950s, with the arrival of registering for bridal gifts at local department stores, the tradition faded into memory in many families . But, of course, as a woodworker, I can’t let such a tradition go silently. Since I don’t have a daughter of my own, I feel a close tie to the four nieces in my family. Carolina, the eldest, recently celebrated her 16th birthday. 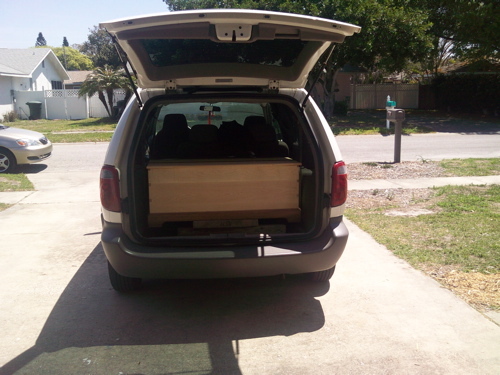 Since I knew she was going to be busy with parties involving her friends, and she was going to be joining us for Easter dinner this past Sunday, I figured I could be a little late with her present – a hope chest. Many thanks to the folks at Wood Magazine for providing the plans for this blanket chest in the November 2009 edition, and I can’t say enough about Eric Poirier and the folks at Bell Forest Products who contributed the gorgeous tiger maple for this project. The body is glued up (now you know why I was posting so much about panel glue ups this past week!) tiger maple with variably-spaced dovetails cut on my Keller jig. The top has battens across the middle glued right at the center and screwed in to allow it to expand and contract while still remaining flat. Figuring the maple might look a little too stark without any contrast, I glued a strip of walnut down the middle of the top and also used walnut for the base molding. Since I also messed up the miters on the base molding (I know, don’t dwell on the accidents! ), I rounded the mitered molded top over with a rasp and sandpaper. We had been leaving clues for Carolina all week. The sound of the table saw on her phone mail. A few hints on Facebook. But, she didn’t have any idea what was coming. We ate Easter brunch together with many of our family members, but didn’t let on what was in the trunk. After we left the restaurant, we all proceeded to the back of the minivan for the big reveal. I told Carolina that I had gotten her a new set of jumper cables to keep in her trunk as a present for getting her driver’s license. She didn’t fall for it. As I was opening the tailgate of the van, a thought ran across my mind. Would a girl born in the age of text messages, the Internet and other modern conveniences even like something as old fashioned as a hope chest? When I lifted the canvas drop cloth that was hiding the chest from view, I got my answer. Do I want her to go out and get married now? Nah, she’s still too young. 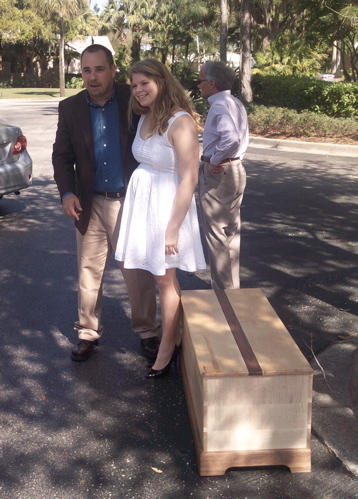 But, knowing that the hope chest I built will be part of her life from here on out is a pretty amazing thing. Maybe something she will share with her daughter or granddaughter when she reaches her sweet 16. Now, only three more nieces to go! What did you finish the chest with? and what’s the dark wood in the top? Oh, forgot to put that in! It was a washcoat of 1# cut dewaxed shellac, Once dry, I sanded it down with 320 grit paper and then wiped on two coats of Watco Danish Oil…. Thanks Uncle Tom!!!! 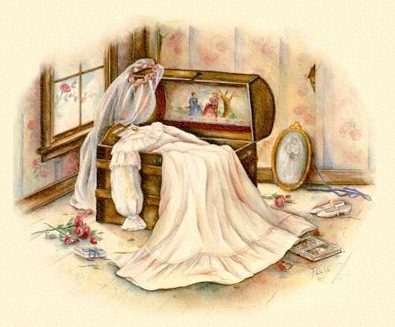 I Love you so much, and my hope chest is BEAUTIFUL! Carolina – it was my pleasure. Use it for years and enjoy the heck out of it! The chest looks great! What a nice gift.